Phil Collins had the button. Collins raised all in for 13.575 million and Ben Lamb called from the big blind. Just like that, the cards were on their backs. The flop came down and Lamb stayed in front. Take note that Collins held the only diamond in the hand. The turn was about as sweatastic as you could get, giving Collins a flush draw and an open-ended straight draw. The dealer slowly burned and then dealt the on the river, spiking Collins with a flush. 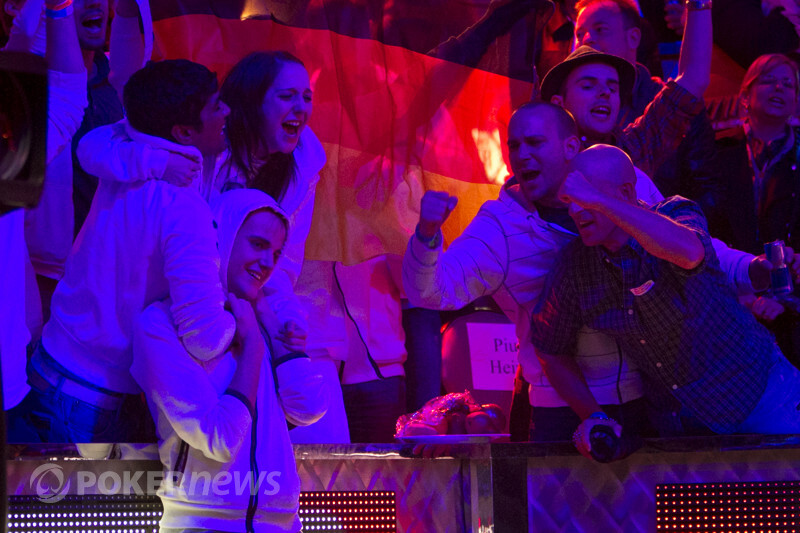 His cheering section erupted as Collins raked in the pot to double up to over 28 million. Pius Heinz celebrates his massive double up.